Highlighting your face into oblivion is one of the easiest ways of giving your skin a highly polished, fresh look. I’m sure many people will beg to differ, but I don’t think you can ever have too much? Glowing skin exudes radiance and health, and even if you’re not feeling your best, you can fake it easily with a few dabs of the good stuff. 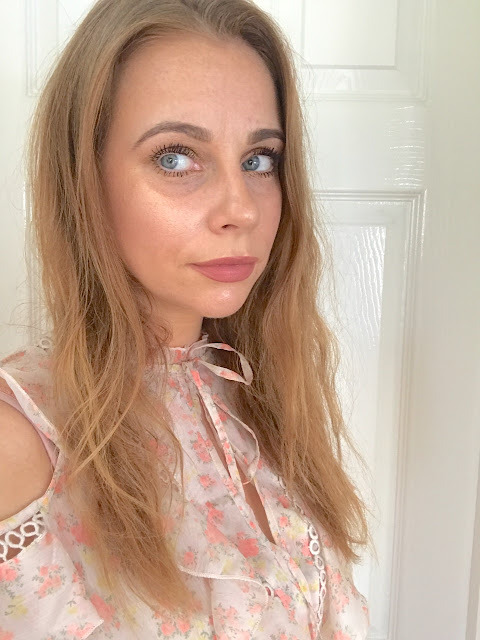 I think I’ve sampled pretty much every highlighter in the world (OK, maybe not, but you get my drift) and I’ve rounded up my ultimate top three, in different formulations, for giving your face that certain shimmy shimmy! 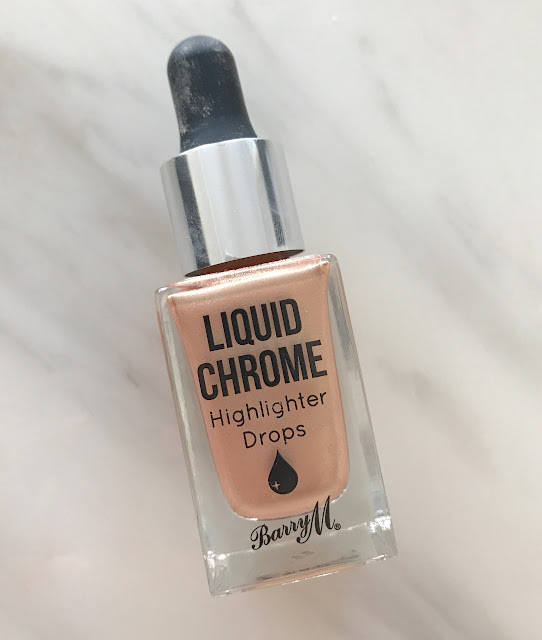 First up- we have the much talked about Barry M Liquid Chrome Highlighting Drops. OH MY. 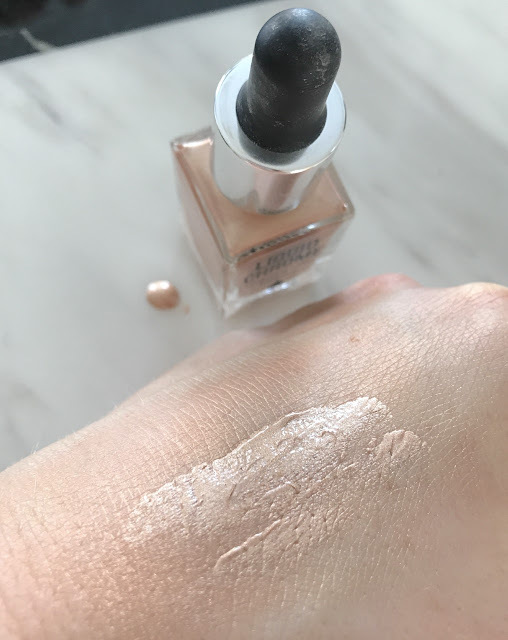 So, make up addicts will initially notice that the packaging is very similar to the Iconic London Illuminator- it is admittedly a dead ringer. It comes in a glass bottle with a pipette, that controls the quantity of product that you want- which is grand as you really don’t need too much. 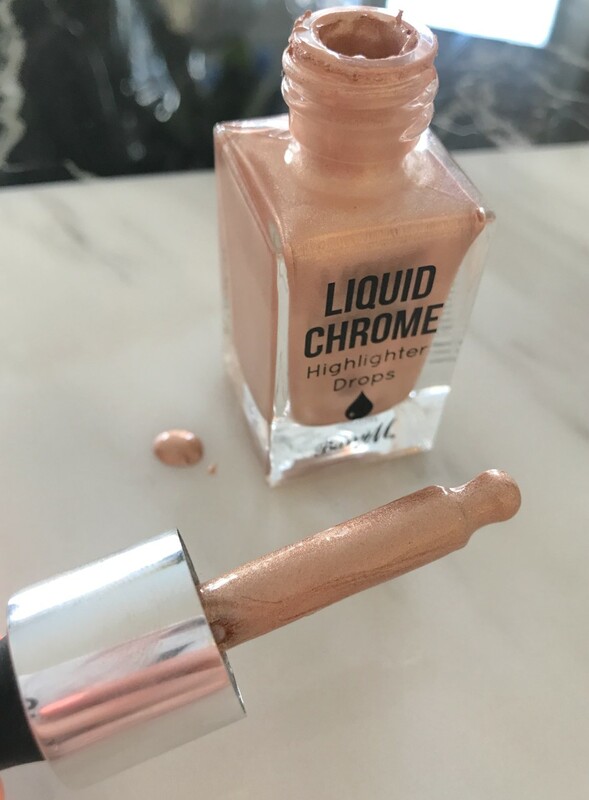 This pigmented liquid highlight comes in five sumptuous shades- I have Liquid Fortune, which is a warm-toned, rose gold. Such an intense metallic! It is incredibly bold and gives a great colour payoff. 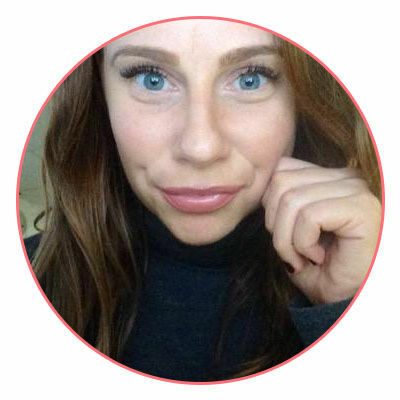 It sits well on the areas that catch the light- the cheekbones, brow bones, and also the centre of your nose. I rather like adding a few drops of this to my foundation for an all-over sheen. Plus, you get change from a tenner! A great budget buy. 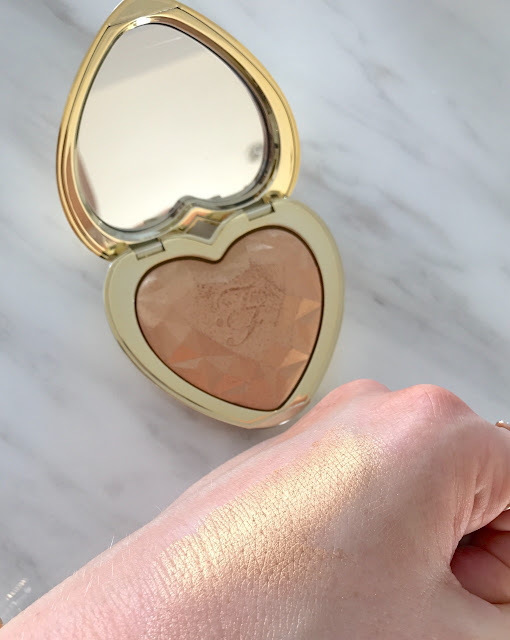 A bit of a decadent buy here (and also a great Instagram flat lay contender) is this gold goddess of a product, from the Love Light Highlighting Powder Collection at Too Faced. Is there really any make up brand that is quite as aesthetically pleasing as To Faced? I think not! 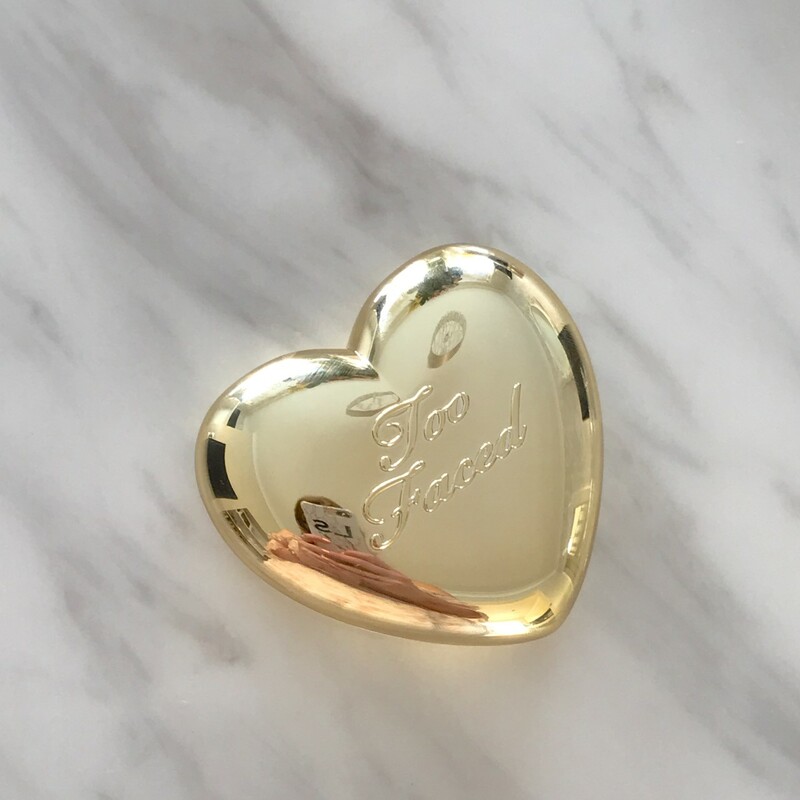 I have been using the gold offering, named You Light Up My Life (cute) and it is pretty special. 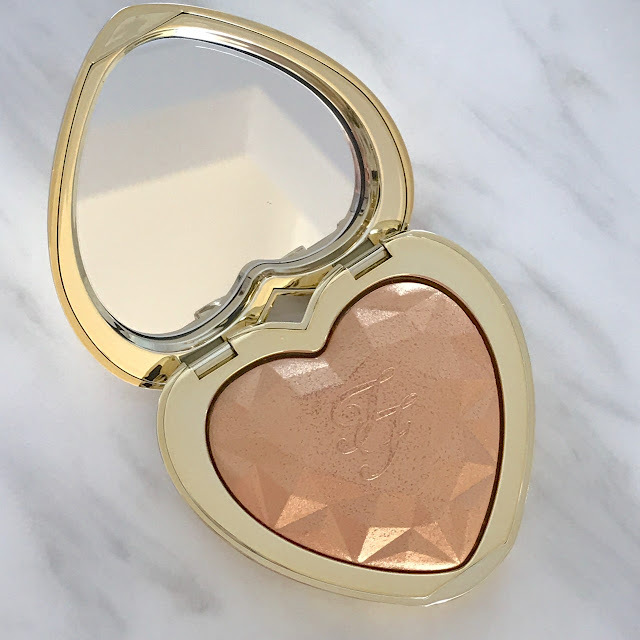 The baked formula is shaped into a very swanky prismatic form, encased in a hand-held heart compact. Top marks for including a mirror; great for glowing on the go! What I heart (see what I did there) about this, is that It’s so long- lasting. Many highlighters wear off as the day progresses, but this bad boy won’t budge once applied. This gold shade is quite bright, so I’d say it’s not for the faint hearted, or those that wish for a subtle glow. Its designed to be SEEN. Would totally suit olive toned skins. Lastly, if you want a natural highlight, and one that can be doubled up as a blush, you will enjoy this offering from Daniel Sandler- the Radiant Sheen Illuminating Face Powder. This pressed powder has a wonderful creamy texture, that can be swept together which gives an instant, warm radiance to the face, or one can use the squares individually. Also, if you add water, they can easily be used as metallic eyeshadows! A highly versatile product with sturdy, grown-up packaging. These beautiful stamps by ZARA are totally my perfect shoe, and I’m so glad I found them. 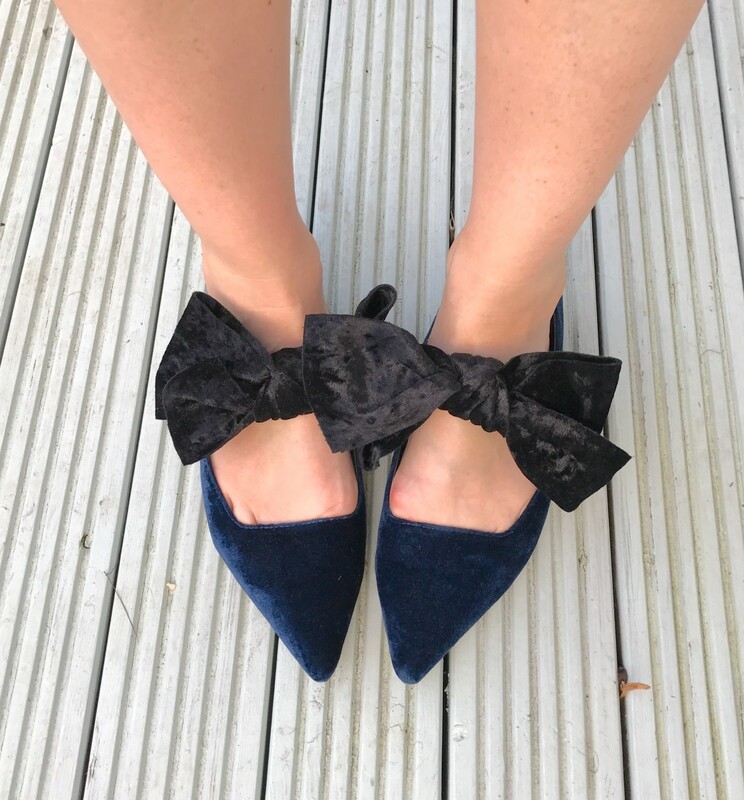 I always try and invest in new styles ready for the Autumn, and these were just what I was looking for. Part of Zara’s new AW offering, they are sturdy ballet pumps, made from the softest velvet in midnight blue, complete with a large statement bow. Have you even seen anything quite so fabulous? 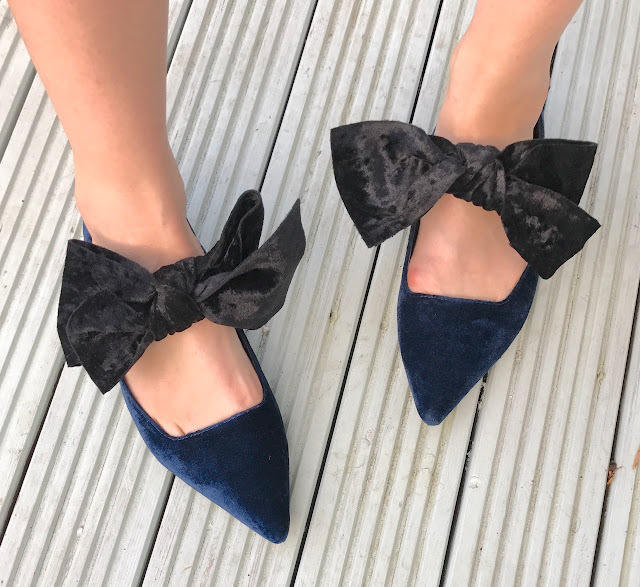 Velvet is a huge trend right now, and there is something so luxurious about it. Hi Five to the HiGlow! 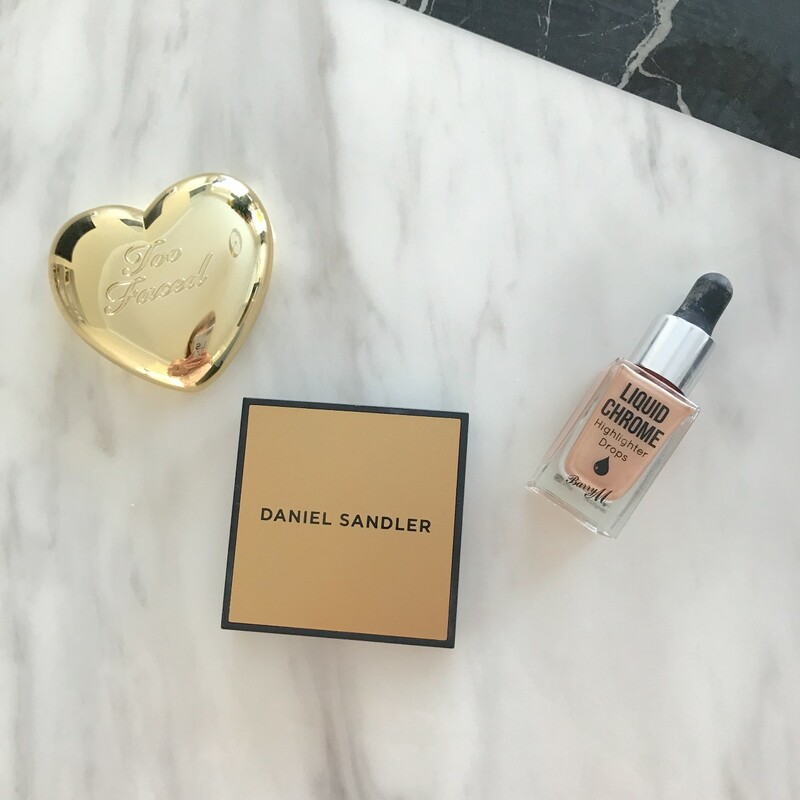 Highlighters, body glow, and shimmery skin are so on trend right now. The lightly perspired look (in a good way!) is totally in, and there are numerous products on the market that are perfect for helping you achieve that dewy finish. 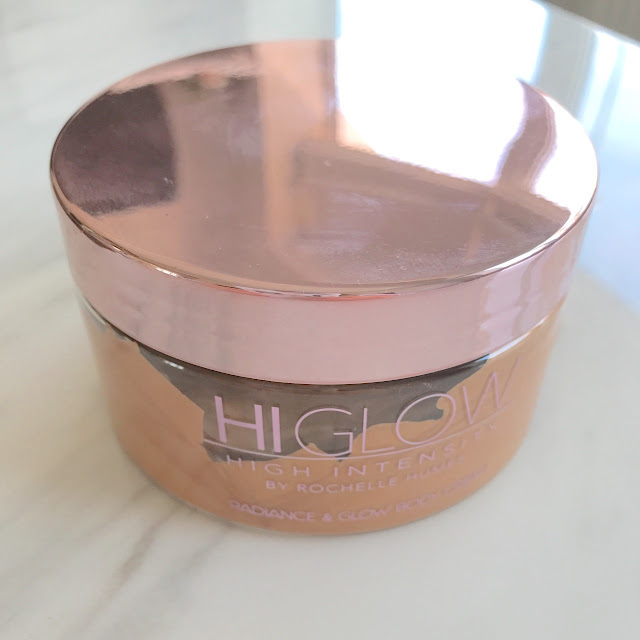 I’d heard great things about the HiGlow High Intensity Radiance Glow Cream by Rochelle Humes. This great big monster of a pot, contains the most sparkly body cream, I think I’ve ever seen. It is lightly tinted, and is the perfect bronze shade, so great for pepping up pale skin. I try not to use too much tan, so this offers a subtle sheen that lightly colours the skin in a natural, warm-toned brown. But best of all- the SHIMMER. My oh my! It’s so pigmented, and gives a high shine glossy finish. 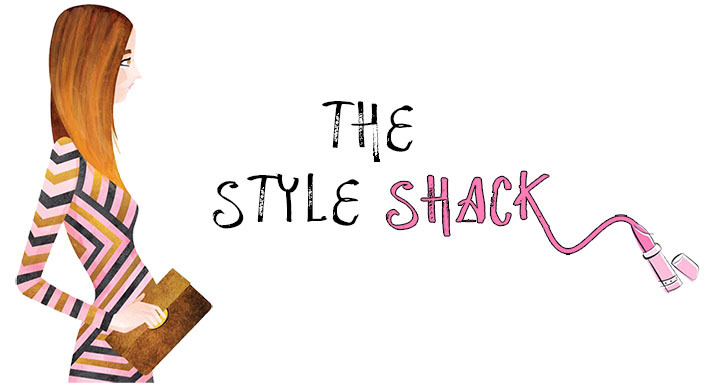 I use it predominately as a leg product, as no-one likes the pasty, corned-beef look! It disperses well, and doesn’t clog this skin. Plus, it dries super quickly and doesn’t stain my clothes. I think its amazing the quantity of product you get, its excellent value for money. You need this in your life!